CHECHESMITHNATION : A Known Acid Attack Survivor Laxmi Saa Is Now The New Face Of Indian Fashion Brand! 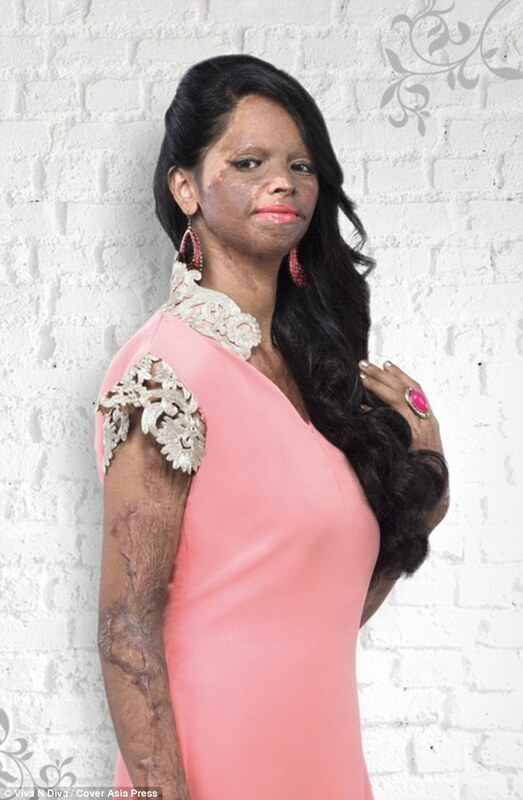 A Known Acid Attack Survivor Laxmi Saa Is Now The New Face Of Indian Fashion Brand! An Indian fashion retail brand Viva N Diva has signed up a known acid attack survivor as the new face of it's Campaign called 'Face of courage'. Miss Laxmi Saa, was only 15-year-old when a 32-year-old man threw acid at her after she rejected his marriage proposal..since then she has undergone numerous reconstructive operations and now an outspoken advocate against unregulated sales of Acid. Laxmi, when asked of what if the attacker still offered to marry her, said he has changed my face, but he has failed to change my mind. As the face of it's new range of designer outfits for women, the first video for the fashion Campaign is dedicated to those who lost their physical beauty to the horrific acid attacks with aim to create new opportunities for them in Fashion Industry. The skin around the eyes is thinner and more sensitive than other areas of the face. Glycolic acid eye creams are usually formulated with other ingredients such as retinol.